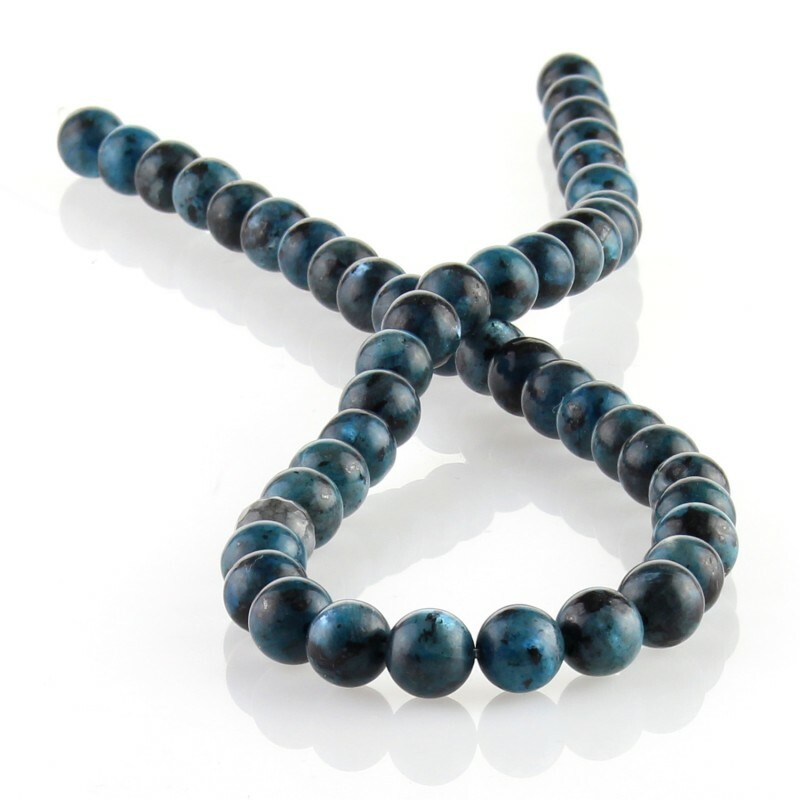 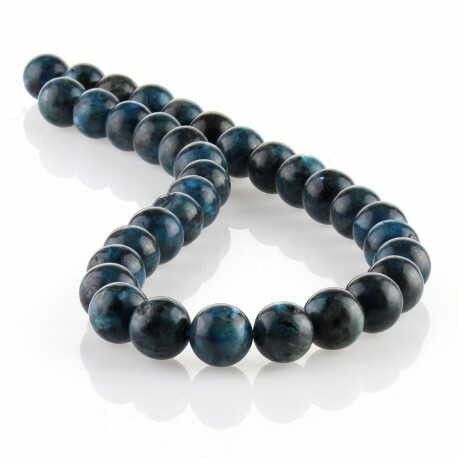 Buy blue labradorite round beads. 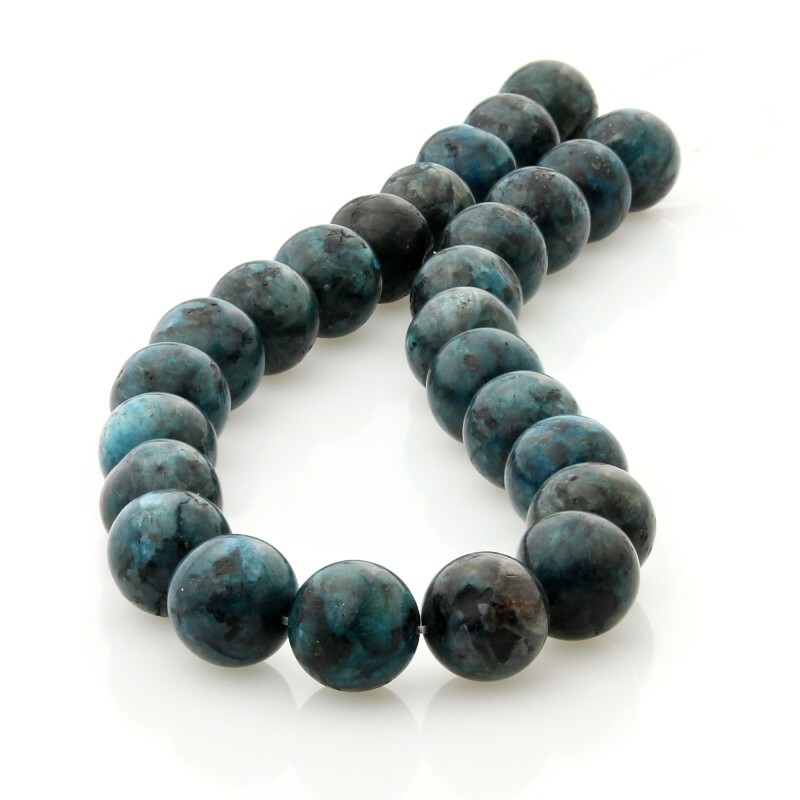 Dyed blue labradorite round beads. Several sizes to choose of labradorite round beads and they are arranged in strands about 40 cm in length. 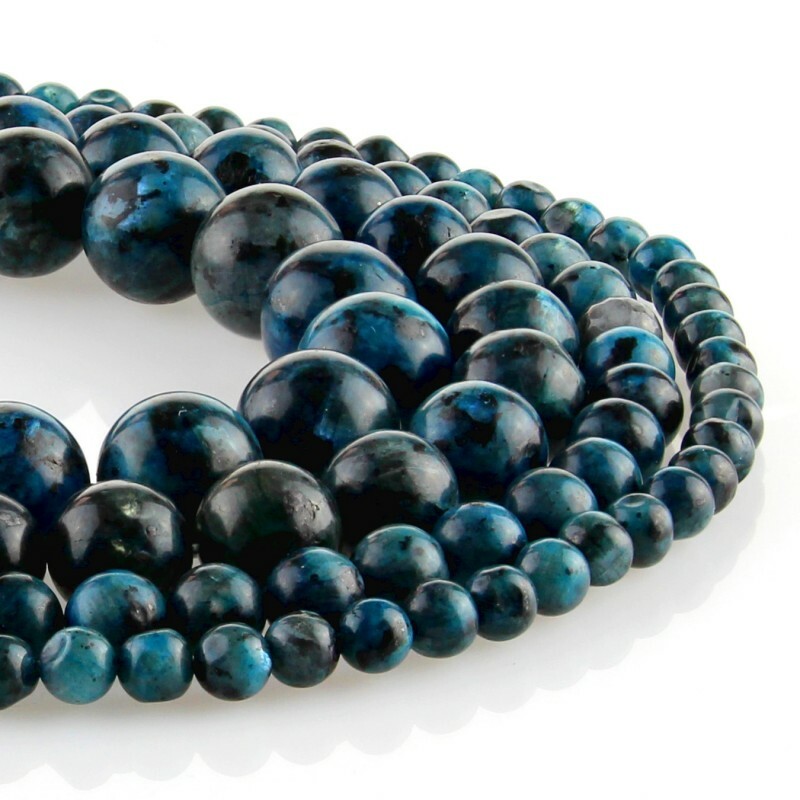 Depending on the angle that the light impinging on these beads, is possible appreciate its bright iridescence, typical of this semiprecious stone.